There’s nothing worse than waking up or coming home to a flooded basement! The aggravation, frustration and inherent damage to your basement, walls, flooring, furniture, electronics and other valuable items can prove costly to repair or replace. 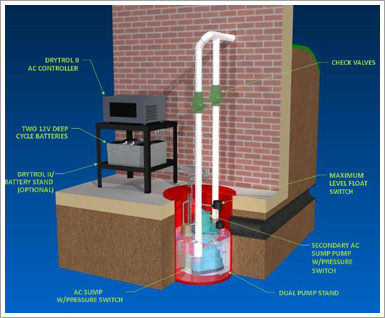 If you own a home that is prone to flooding then installing a sump pump is a no-brainer and will pay for itself many, many times over during the course of its useful life. There are a variety of manufactures of sump pumps as well as models and cost ranges. Sump pumps come with a variety of switches, including floats, diaphragms, and mercury switches. It doesn’t really matter which type you choose, but be sure to choose an automatic one. By the precepts of Murphy’s Law, if you put in a pump with a manual control, you won’t be home to turn it on the next time your basement begins to flood. An automatic switch can protect the home while you are away as well as the pump, too. Most pumps burn out if they run “dry” for too long an automatic switch prevents this from happening. HOFMEISTER PLUMBING can service, replace or install a new sump pump in your homeor business. 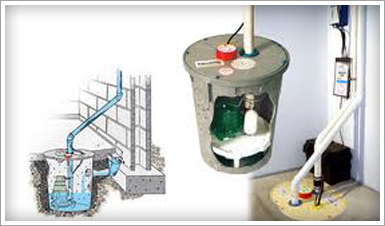 We can also install an alarm to notify you if it is not functing properly and a battery backup system for your sump pump.